Extreme heavy duty flexible post! 6', 8', or 9' heights. Includes mounting hardware for concrete, asphalt or asphalt. 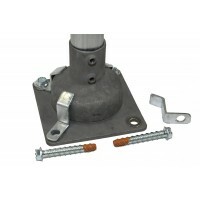 Optional detent bracket kit: makes post rigid until struck. 4" or 7" OD with 32", 52", or 72" length.9" x 9" x 1/8" steel base plate.Includes mounting hardware ..
9" x 9" x 1/8" steel base plate.Can utilize 4.5" x 52" or 7" x 52" Post Guard bollard cov..
9" x 9" x 1/8" steel base plate.6 foot or 8 foot steel 1-5/8" round galvanized post. Inclu..
9" x 9" x 1/8" steel base plate.6 foot steel 1-5/8" round galvanized post.Rigid adapt.. Carbon steel torsion spring.Includes mounting hardware for concrete, asphalt or natural ground surfa.. 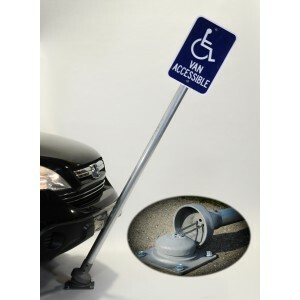 Extreme heavy duty flexible bollard!7"x52" or 7"x72" Post Guard Bollard Cover.Includes mounting hard.. Extreme heavy duty flexible bollard!7"x52" Post Guard Bollard Cover.8' SignPost accommodates multipl..